According to Leah Miller, team member and a production decorator at the Oakland (CA) Whole Foods, the number one trick to creating cupcakes that are as good to look at as they are to eat is to make sure your cupcake is room temperature before you begin covering it in frosting. "It's best to make them ahead," she said. "Or even the day before. If your cupcake is not totally cool, the frosting will melt or drip off." Even if a bright blue (from natural food coloring) pastry rendition of Sesame Street's favorite Cookie Monster is not in your cupcake decorating future, Miller had some suggestions at a recent hands-on cupcake decorating class at the store that could be adapted for any style of cupcake. Choose tips with larger holes, either round or star. Star tips create ridges perfect for catching sprinkles. Round tips give a softer, piled on look to the frosting. Make sure the frosting is "loose" by stirring it before putting it in the pastry bag. 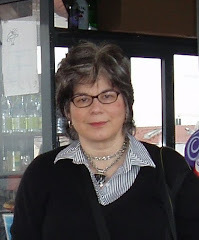 She uses Italian butter cream frosting, which is very silky and smooth but says store bought is fine, too - just place in a bowl and whisk it well before using. Use natural food colors and be sure they are mixed in well. She does warn that too much red coloring will end up tasting like beets, so go with pink rather than red this Valentine's Day. To decorate a cupcake, pick your metal tip, insert in a pastry bag (or use a gallon-size heavy duty plastic storage bag with a corner cut off for the metal tip). Push in a bit of the plastic bag inside the tip and give the bag a twist. Spoon in the frosting, pushing down to avoid air bubbles. When you are ready to decorate, untwist the bag and pull up so the inside of the tip is no longer covered by plastic. (Doing this does two things - it helps prevent air bubbles in the frosting and makes sure frosting doesn't drip out of the tip while you are loading the pastry bag.) Twist top of bag and holding one hand at top and the other towards the tip, press down from top so frosting flows out smoothly. Miller recommends starting at the middle of the cupcake and working out to the side, swirling frosting in circles upon it self to cover and create an attractive decorative effect. Once you have your swirl, Miller recommends decorating with colored sugars, candy bits, sprinkles or other toppings. Or you can use a smaller tip to make decorative shell or star shapes along the edges or on top. 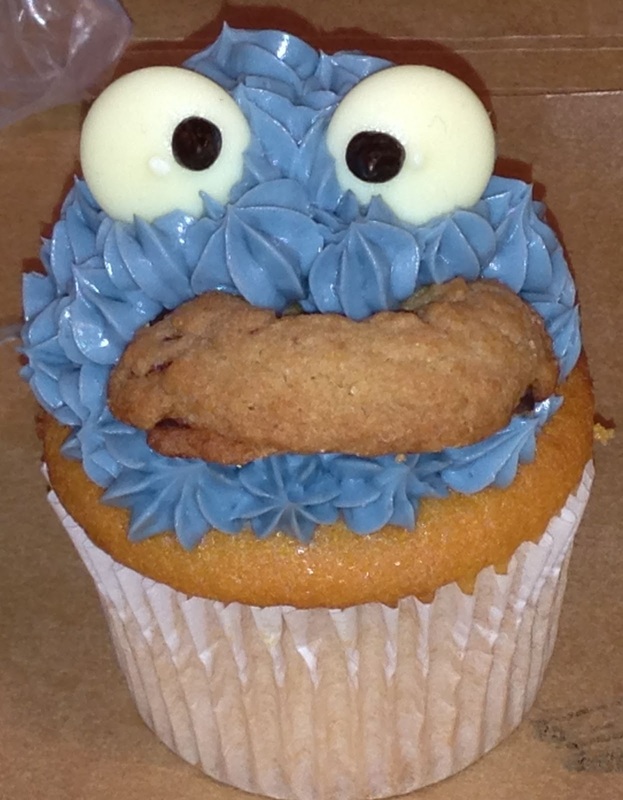 For the Cookie Monster cupcake, the Oakland Whole Foods best seller, she adds a half cookie as a mouth, covers her piped swirl with small stars for fur and adds white chocolate eyes. While Cookie Monster was a big hit with the two little girls at Miller's demonstration, us adults appreciated her tips for a "flower" cupcake. Use a large round tip and pipe petals a little out from the middle to the sides. Fill in center with small stars or a colorful jam or curd. At the store, Miller says a "sunflower" cupcake with yellow petals and brown center is very popular. Before attempting any swirls, stars or other designs on your cupcakes you might want to do what Miller had us do before we graduated to piping onto the cupcakes. Trace a few circles onto parchment paper and practice squeezing the icing out of the bag into the swirls or other shapes. 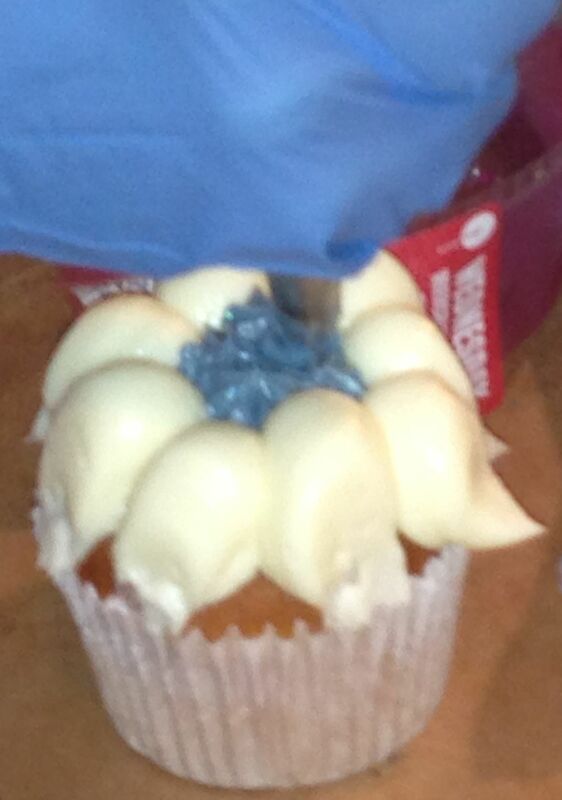 To avoid frosting "tails" stop squeezing before lifting up the tip. 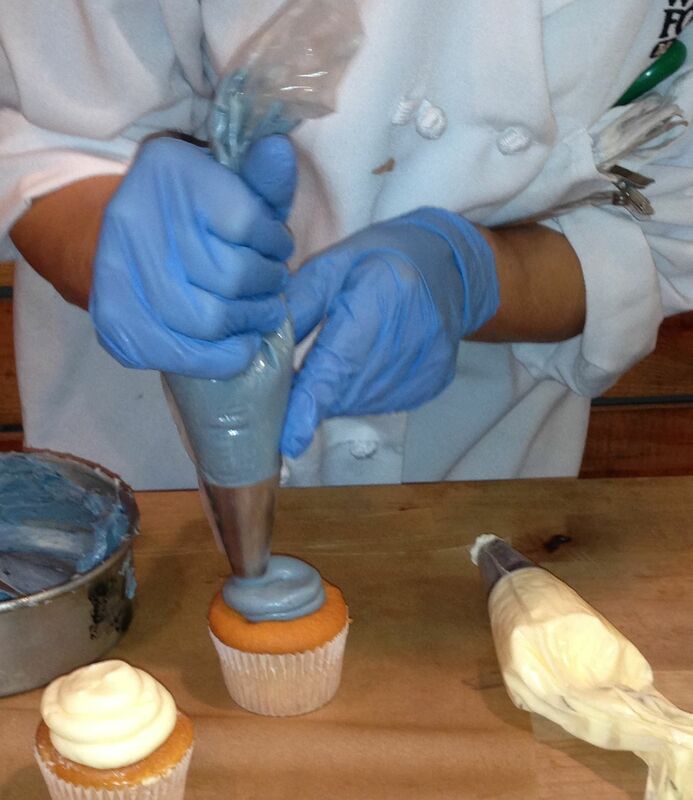 Once you are done practicing, use a spatula or knife to scoop up the frosting from the parchment paper and reuse. All this reads as much more fussy than it is in real life. Even the three-year-old in the class was decorating cupcakes with aplomb after a few practice circles. We got to eat the mistakes as well as bring home our more successful creations. Plus the event was a benefit for the Whole Planet Foundation.